Tottenham Hotspur have always been traditionally known as a cup side. They last won the domestic league in 1961. Since then they’ve lifted a major cup trophy on no less than 12 occasions. Typically Spurs have rarely had the consistency or resolve to sustain any sort of title challenge. Over the years their squads have generally been made up of relative mediocrity – certainly not enough of the sort who’d win you a league title – along with a handful of players of genuine quality. The likes of Glenn Hoddle and Dimitar Berbatov come to mind – supremely gifted players who played pivotal roles in some memorable cup final wins with Spurs, but had to move elsewhere to secure a league title for themselves. In seasons gone by, Spurs sides – buoyed by these enigmatic talents – have often been able to raise their game in the cup competitions, as their bold, attacking style, coupled with individual moments of magic, has swept all before them. But performances in the league have seldom been as impressive. However this season, under head coach Mauricio Pochettino, Spurs seem to have transitioned from a cup side to a league side. Currently sitting second in the Premier League with just eight games left, they have shown a consistency and resilience that goes against any past expectations or reputation. Much of this turnaround has been built on a solid defence which has conceded just 24 goals in 30 games – the lowest in the entire Premier League – contributing to the league’s best goal difference too (+29). Spurs are able to grind out results in the league even when not playing well. Or at the very least avoid defeat – they’ve only lost four times in the league this season. In contrast, Spurs have struggled in the cups. They were knocked out of the League Cup at the first time of asking, by Arsenal, back in September. Crystal Palace defeated them in the FA Cup last 16. Finally Dortmund currently hold a significant 3-0 advantage ahead of the Europa League last 16 second leg at White Hart Lane next week. Admittedly much of the disparity between league and cup results is simply due to squad rotation. Spurs generally play a slightly weaker side in the cups compared to their league games and, when margins are fine, this can be the difference between winning and losing. This is certainly reflected in results. It’s fair to say that the weaker team selections that Pochettino has been putting out in the cups are a reflection of how seriously he thinks the club can win the league and how much he is willing to prioritise their progress. Another reason why Spurs have been able to perform so well in the league is the strength and depth of the squad at the disposal of Pochettino. This has meant what while not always necessarily enough to win a one-off knockout match, it has allowed him to rotate players and effectively cover for key absentees while rarely having a negative impact on results. Finally the determination and unity displayed by the current Spurs team is an essential trait for any team with ambitions to win a domestic title in the near future – and one which has seldom been seen at the club in the past. Only time will tell whether Tottenham will be successful in lifting the Premier League trophy this season but there is no doubt that for the first time in decades, they have a team which is well suited to do the job before too long. They are no longer a cup side, they are now a league one. 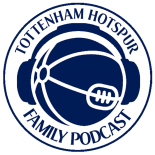 This entry was posted on 18/03/2016 by javadmovahedi in Uncategorized and tagged COYS, premier league, spurs, thfc, tottenham fc, Tottenham Hotspur, Tottenham Hotspur Football Club.